<!-- Division The <div> tag defines a division or a section in an HTML document. <p>Cream butter and sugar together. Add golden syrup. Add sifted cocoa, flour and baking powder. Add coconut. Combine and press into a shallow tin. Bake at 180&deg;c for 20 - 30 minutes. Ice while still warm. 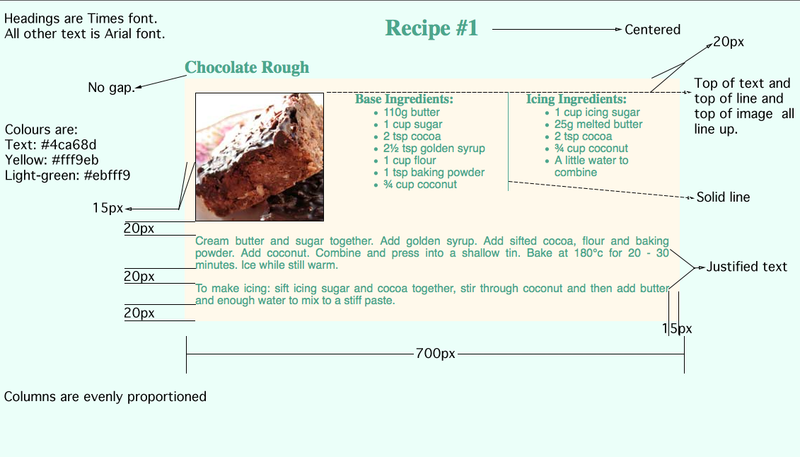 <p>To make icing: sift icing sugar and cocoa together, stir through coconut and then add butter and enough water to mix to a stiff paste.